I am many things, but an athlete? Not exactly. 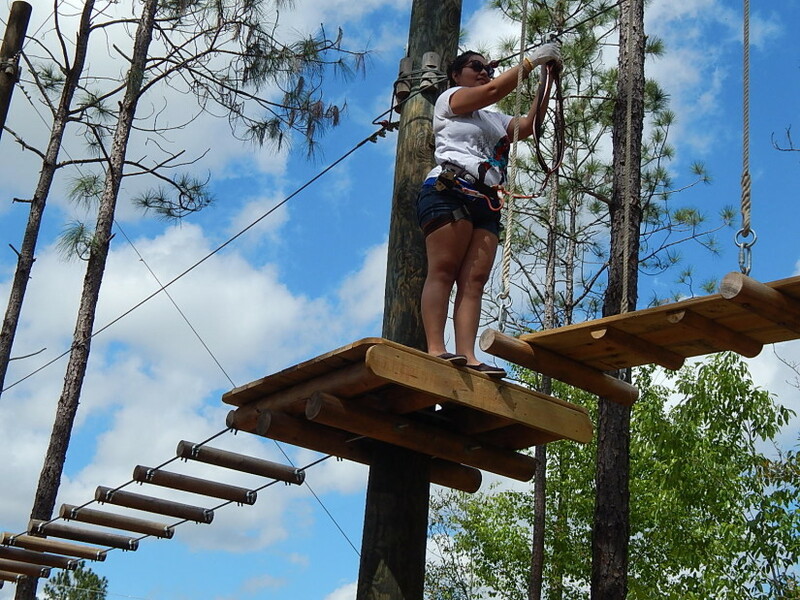 Coordination and agility are not exactly my best friends, so when I first heard about Orlando Tree Trek, I was skeptical and a bit nervous, but excited to try something new. Orlando Tree Trek opened recently just south of the Walt Disney World Resort and is a challenging obstacle course set in the canopies of Florida trees. 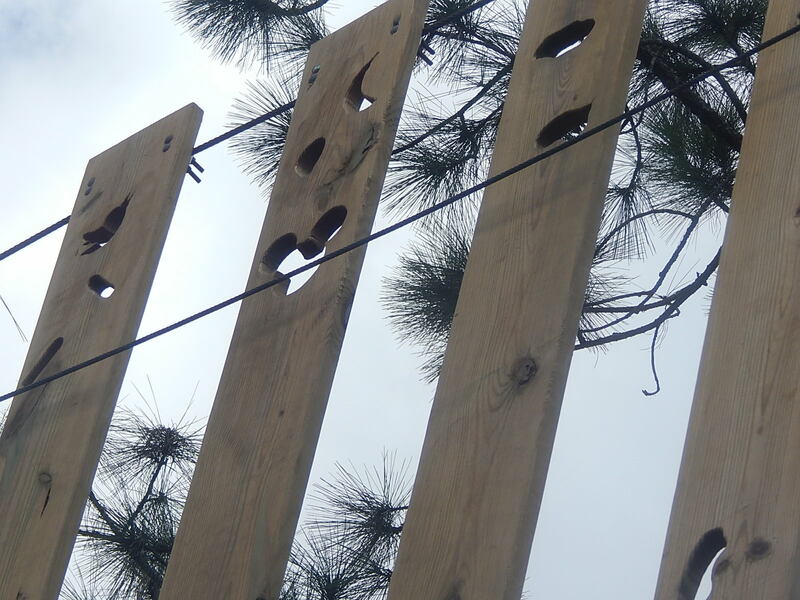 Obstacles range from 10 to 35 feet off the ground and range from fairly easy to extremely difficult. 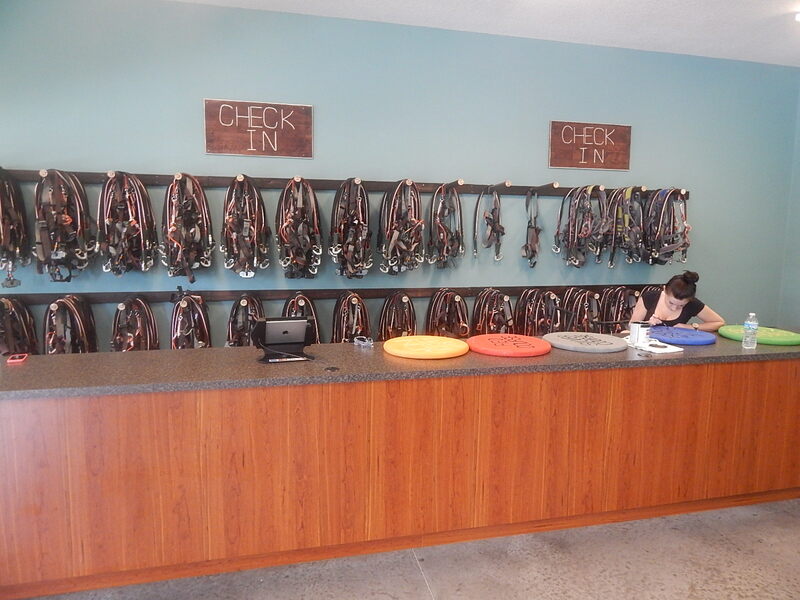 Luckily, they are one of the first in the United States to use this new hook system where guests must wear two carabineers which are connected by magnets. The system works where one hook is touching metal and the other one can be released, but both cannot be released if one hook is connected. In short: it’s impossible to fall as long as you start each course properly. 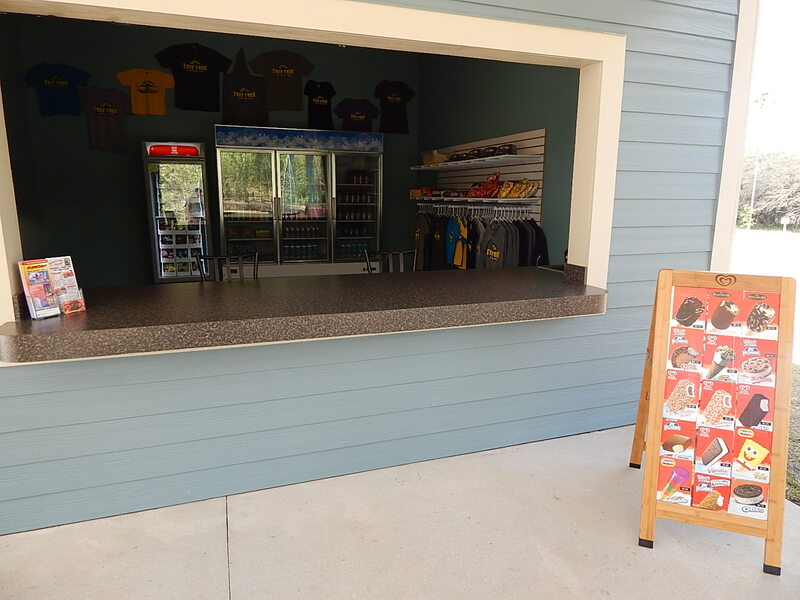 Courses are divided into children and adult versions. 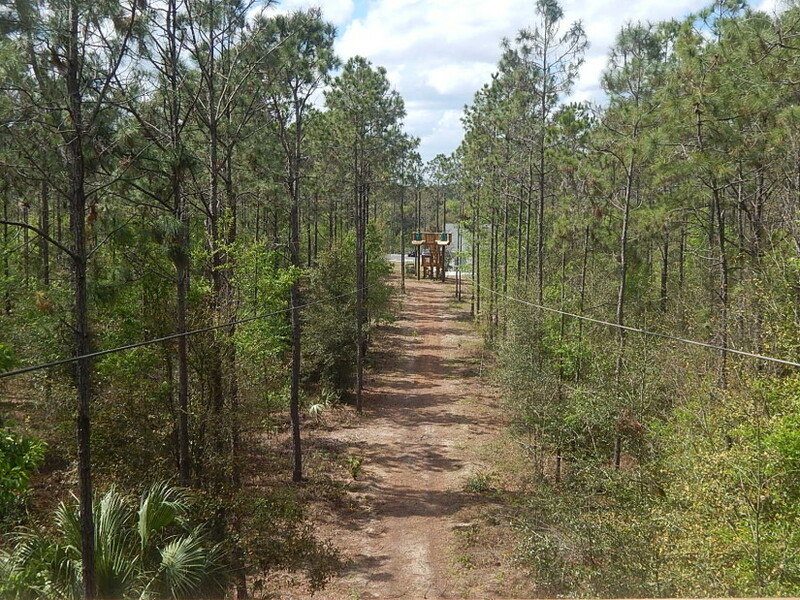 Before anyone can start, each participant must complete a demo course that is just a few feet off the ground, but it conditions everyone on how to hook on to different sections and how to navigate through the trees, right down to the zip lines. In total, there are four adult courses and each one is more difficult than the last. 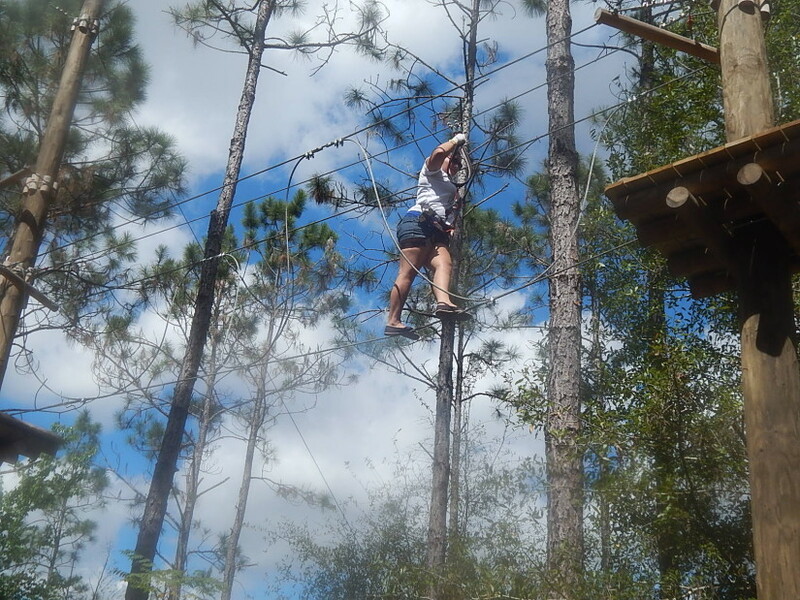 Individual challenges range from stepping across boards that sway under your feet to walking a single wire. Until you step out on each obstacle, you don’t exactly know how it’s going to react. 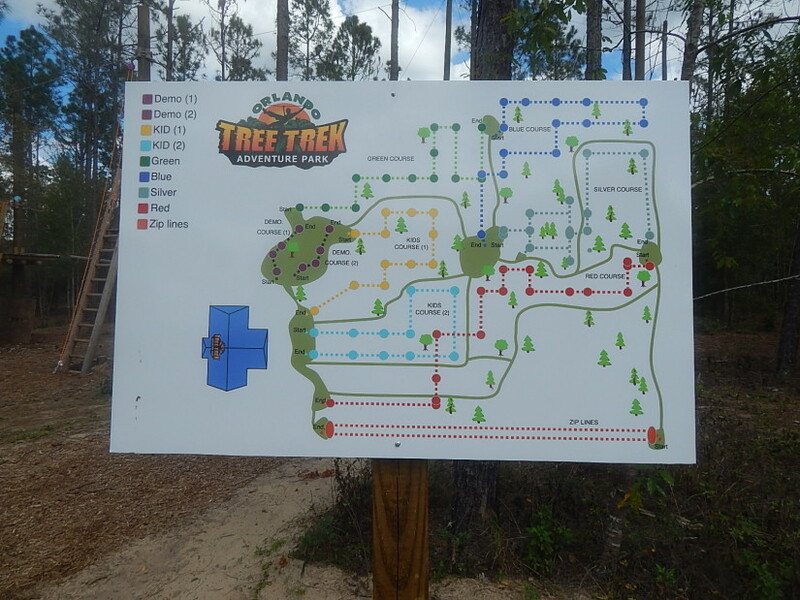 If I had a complaint about Orlando Tree Trek, it’s that you really were given very little instruction on how to navigate each course. 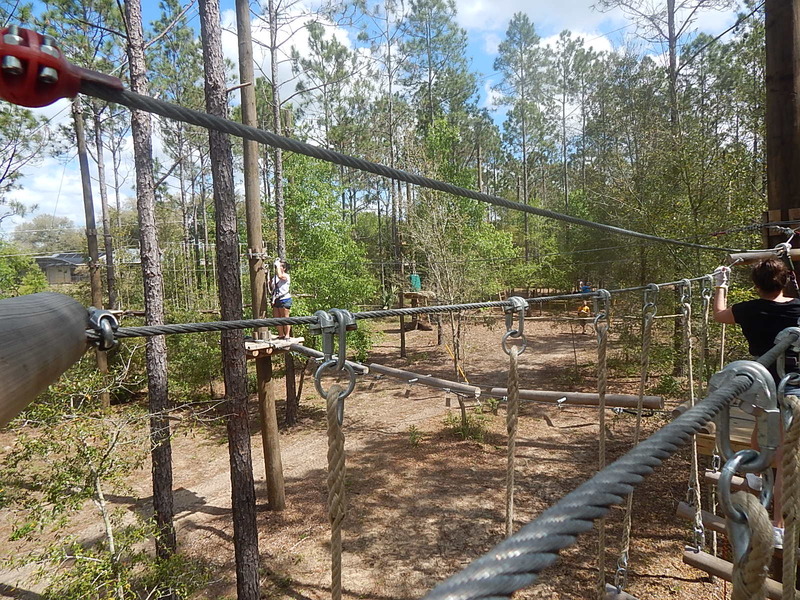 Sure, you learn how to hook on to each rail and how to zip line through various sections, but there is no way to tell exactly what kinds of challenges are ahead and you’re given no time to think about if you’re physically capable of doing them. The good news is there is no time limit to go through all four courses and if you want to take a break between them, there is a rest area with washrooms where you can catch your breath. Also, for safety sake, there are guides watching you on the ground who can help you if you get “stuck” on what to do. In the case of our group, one of us needed water (which I highly recommend bringing with you) because she felt light headed, which was provided by one of the guides on the ground. 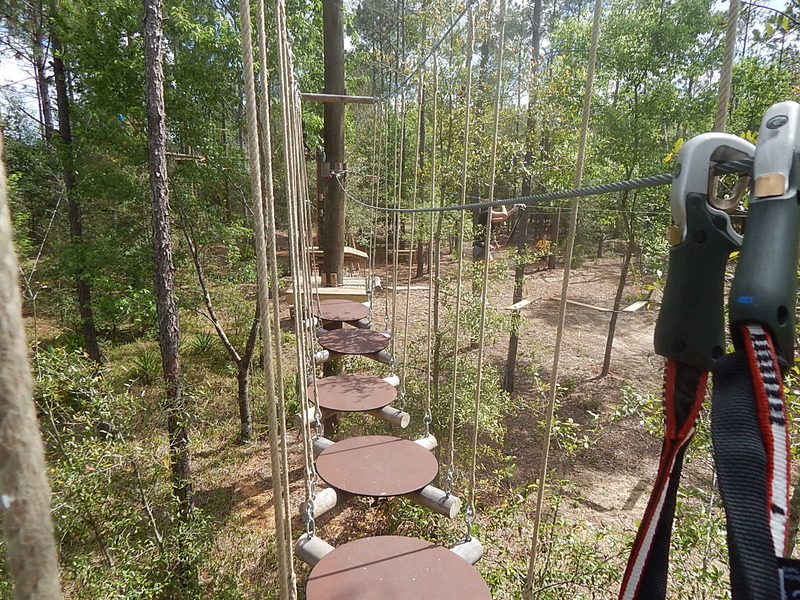 While we didn’t do all four courses, everyone gets to fly through their 425-foot zip lines. Seeing that I have never done one before, it was a fantastic “dessert” to a really unique and challenging experience. 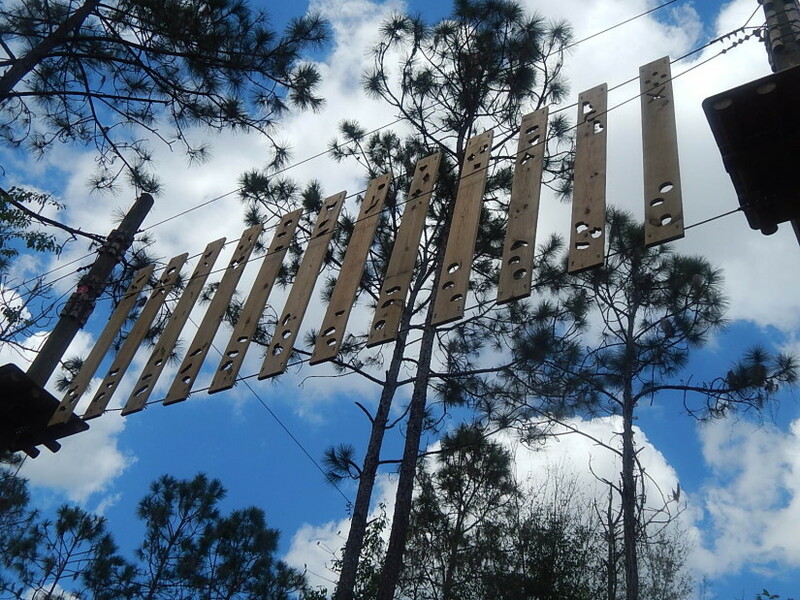 For more information, visit www.orlandotreetrek.com. This entry was posted in Attractions, Outside The Parks and tagged Orlando Tree Trek, Ropes course, Walt Disney World, zipline. Bookmark the permalink. Trackbacks are closed, but you can post a comment.